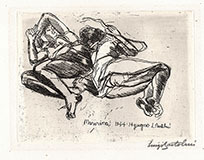 Etching, signed and dated in the plate Luigi Bartolini / 1939. 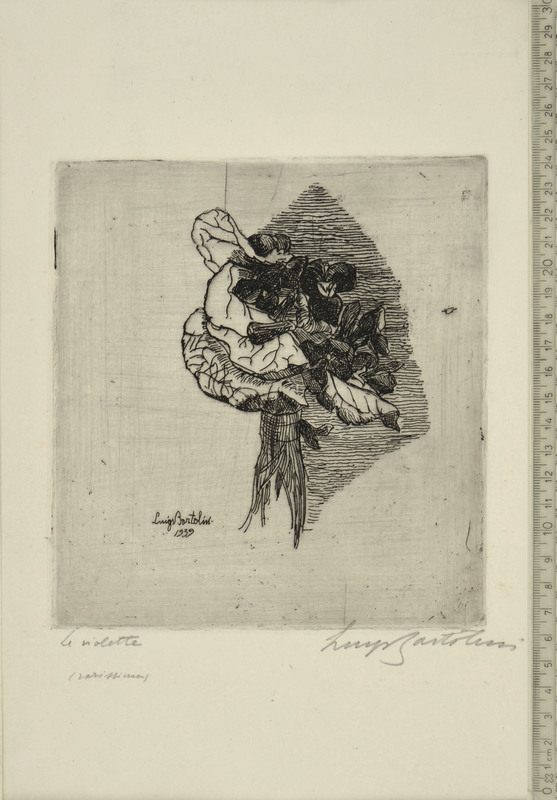 Titled and signed by the artist at bottom margin in pencil Le violette / Luigi Bartolini and inscribed (rarissima). 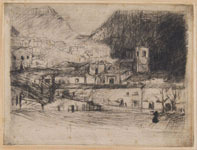 Fine impression pulled in black ink, with rich tone, on wove paper. 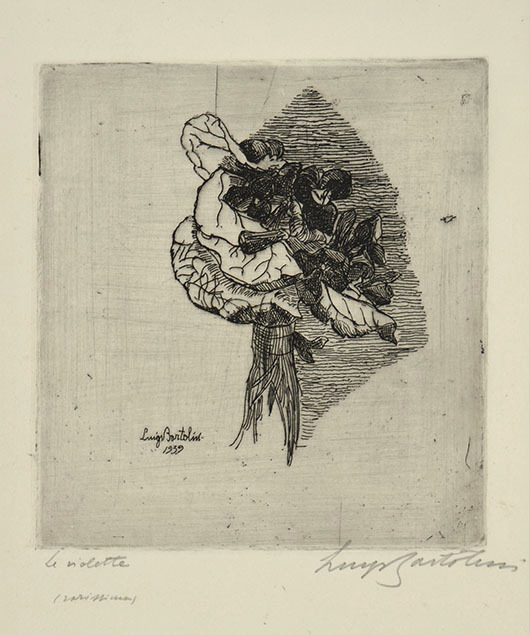 On the verso the label Acquaforte di Luigi Bartolini. 182 x 167 mm, the sheet 415 x 250 mm.